Cleaning cards are important for any type of scanning equipment, because the scanner itself needs to be kept clean. 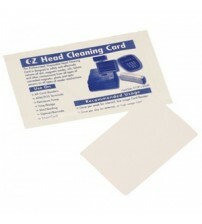 This can be done through the use of cleaning cards, something a lot of businesses overlook. They're useful in more ways than one, and you can purchase them right here.